​Born in India, Neetu has lived in Austria, England, and Canada before settling in the Eastern USA in 1994. Neetu’s eclectic work reflects her diverse background as she explores the joy and darkness of the human condition in poems and stories noteworthy for their intensity in brief span. 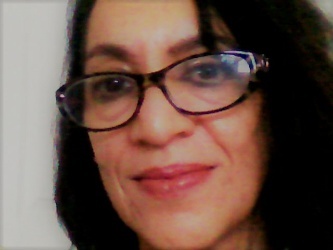 Her poetry is published in journals and Anthologies from Australia, USA, UK, and India. Her poem, “Soaring Flames”, was awarded First-Place by the NY Literary Magazine (2017). Nominated for the Pushcart Prize in 2018, Neetu’s poem “Sacred Figs” was published in The Ocotillo Review by Kallisto Gaia Press. There’s much hidden and buried pain this. I love the tight fists have unfurled. At least we can now see the lacerations. Very good. Thank you, Vivian. Those tight fists reveal a lot and I’m glad the image struck you. Thank you, Vivian. Glad you saw the significance of the unfurled fists.